Which Old Car Needs To Be Reskinned? Yesterday's post on the eye-poppingly hideous Heynsdyk 2500SF prompted an in-house discussion about reskinned cars. Some of us are for them, some against. Nevertheless, we had to wonder — which old car needs to be reskinned? 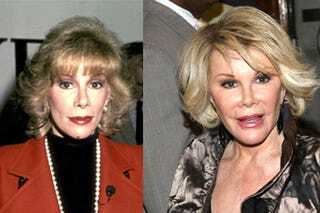 Facelifts are funny things. No matter who you are or how many miles you have on your punum, they're rarely an improvement on the original item. So, too, it is with cars — as the Heynsdyk so effectively showed us, some things are better left in their original form. Still, automotive reskins happen, and we can understand why. When you have a machine that you love and respect, it's easy to want to update, backdate, or otherwise screw with the way it looks and drives in the interest of improvement. After all, that Porsche 944 was designed thirty years ago, and if a staff of trained 1970s German engineers had access to a bunch of hack stylists and a cheap CAD/CAM program, who knows what they could have done? The possibilities are endless, so long as you bring enough Pepto-Bismol. If you can't tell, most reskins leave us cold, but that's not all there is to it. There's possibility here, even if you like the original vehicle, and a car is nothing if not a blank canvas. (Personally, we'd choose to rebuild a BMW E30 M3 as an open-topped, half-size track special, flared fenders and all, but we've got problems.) Which old car needs to be reskinned?